When it comes to skincare, pretty bottles look nice, exfoliating scrubs feel good and cleansers remove our makeup well. All of these things are true, but they’re surface-level qualities. We want more than just a temporary smoothness that turns into flakiness, or scrubs that irritate our skin even further. For a true, lasting effect, we’re going to need to dive deeper. Into science! 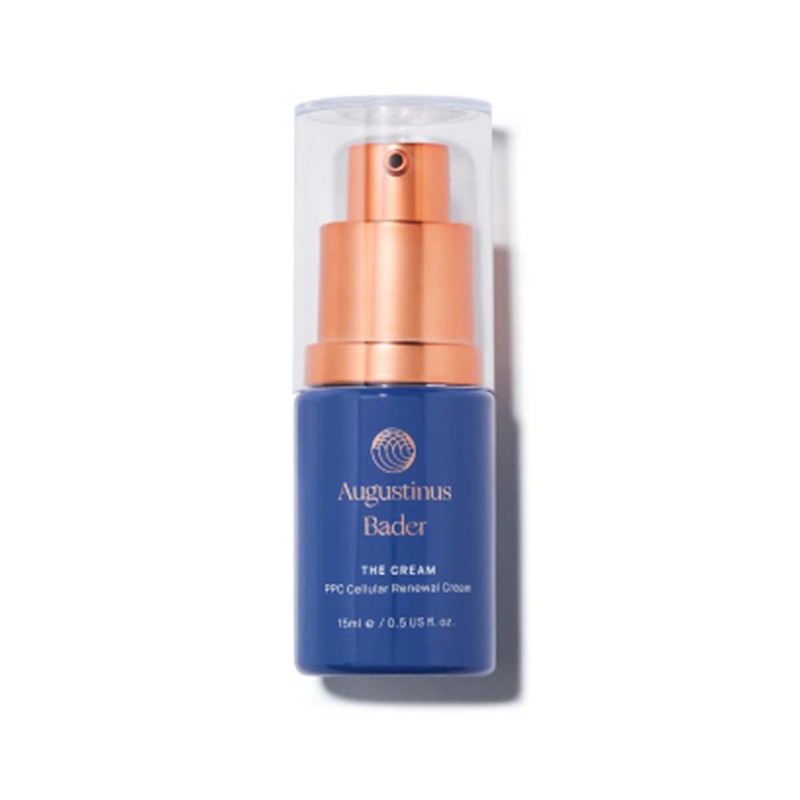 The Cream by Augustinus Bader combines skincare and revolutionary science for a product worthy of celebrity complexions. Victoria Beckham herself is even a fan! Skin expert Melanie Grant recently posted about Beckham’s current skincare routine on Instagram, and this cream made its way into the morning routine and managed to also take the heavily-coveted anchor spot, coming in at the last step of the night, too! See it: Get The Cream by Augustinus Bader in three sizes, starting at just $80 at Violet Grey! The Cream is a lightweight formula, but don’t be fooled by that language – its ingredients may bring us heavy-duty results! It was invented by Professor Augustinus Bader, who used his 30 years of expertise to create skincare with stem-cell technology that’s blowing our minds. This technology claims to trigger our stem cells, repairing and renewing our skin for a glow like no other! The Trigger Factor Complex is the secret behind this rejuvenating technology. It features natural amino acids, high-grade vitamins and synthesized molecules that claim to regenerate our stem cells and reduce signs of aging, such as fine lines, wrinkles and loss of firmness. This cream also claims to help heal skin from environmental damage. It may help prevent future damage, too, as its lipids may help to strengthen our skin’s protective barrier. It all starts at the source, though, which is why this bottle is “airless.” The purpose of this is to avoid spoilage and other contaminants, so the product may be kept pure and as effective as possible until the very last pump! To use this futuristic, groundbreaking cream, we should always start off with a clean, dry face. Those with oily skin may especially benefit from using this cream both morning and night! We then take two pumps of product and warm it between our fingertips. Apply in upward and outward motions, sweeping fingers over face, neck and decollete. Feel free to press and pat for added absorption! As we massage and press The Cream into our skin, its antioxidants, amino acids and variety of vitamins may drench our skin with hydration, leaving it soft, supple and healthy. This cream is free of perfumes, silicones and fillers, so our glow with be all natural so we can go au naturale! The confidence of being able to go out without a dot of makeup on our face is electrifying! The Cream is all about self-healing skin. Not all skin heals well by itself, though. That’s why Professor Bader is all about achieving youthful, radiant skin through “physiologic and innate” processes. This is basically the closest we can get to aging in reverse! We’re no Benjamin Button, but we think we’d prefer to be more like Victoria Beckham anyway. Looking for something else? Check out more from Augustinus Bader here and other moisturizers available at Violet Grey here!